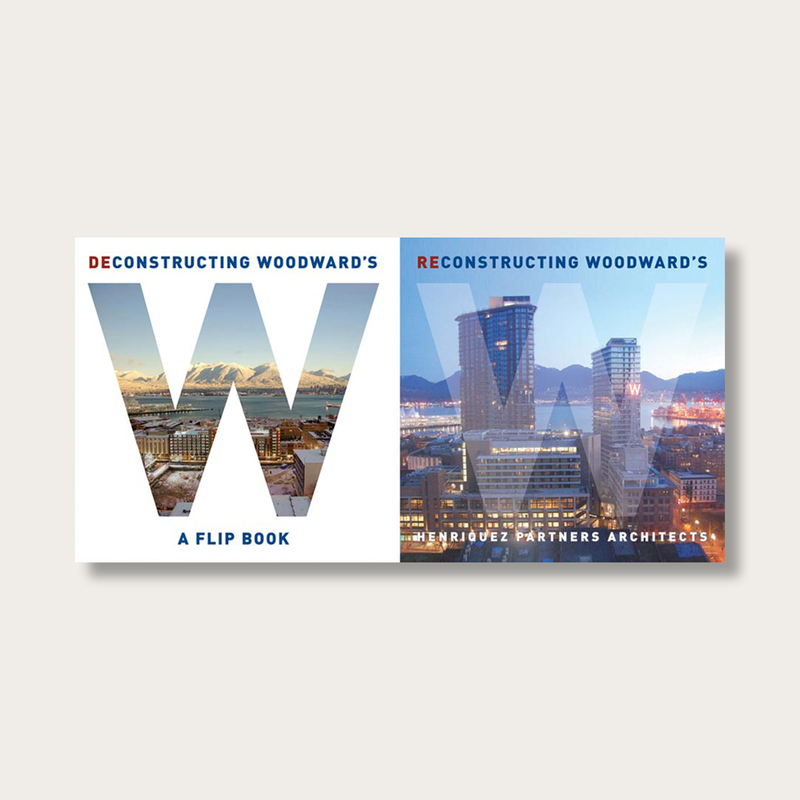 Deconstructing/Reconstructing Woodward’s documents six years in the evolution of the Woodward’s Department Store in Vancouver’s Downtown Eastside. Flip through and see the site’s transformation from an abandoned building in an area long affected by poverty, homelessness and drugs into a one-million-square-foot multiuse complex with all the essential ingredients for a diverse, vibrant neighbourhood. A camera set up one block south of the Woodward’s site was programmed to take one photo per hour, 12 hours a day from 2004 to 2010. For special events such as the “roll-over” implosion and the removal of the iconic “W” sign sitting atop the building, the camera was programmed to capture multiple frames per second. This book includes a selection of the resulting 29, 293 images, documenting the site’s demolition and subsequent rebirth as an inclusive city that is contributing to the resurrection of the economic and social heart of the city’s oldest neighbourhood.